WASHINGTON: The Central Intelligence Agency (CIA) identified Pakistan as one of the countries that poses strategic and tactical challenges to policy makers. “Developments in a host of countries across the globe are raising strategic and tactical challenges for policymakers and our Agency,” CIA director John Brennan said, referring to countries like Iraq, Syria, Yemen, Libya, Afghanistan, North Korea and Pakistan. 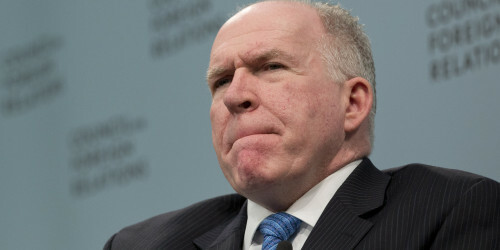 “In addition to monitoring developments in these hotspots, our analysts track overall trends in global stability,” Brennan said in rare public remarks by a CIA director, in which he spoke about the terror attack on a Peshawar school last year. “In December, gunmen in Pakistan opened fire on school children in an attack that, even by the appalling standards of the Pakistani Taliban, was shocking in its moral depravity,” he said, referring to the attack that left 153 people dead, mostly students. These attacks underscore a disturbing trend that we have been monitoring for some time – the emergence of a terrorist threat that is increasingly decentralised, difficult to track, and difficult to thwart, the top American spymaster added. Brennan said developments last year continued a three-year trend of rising instability marked by severe conflict and the erosion of state capacity worldwide. “We saw more outbreaks of instability than at any point since just after the collapse of the Soviet Union, matching the rate we saw during the period of decolonisation in the 1960s,” he said in his remarks before the Council on Foreign Relations. “The implications of this trend are well known to this audience. Rising instability leads to a growth in ungoverned spaces; a spike in humanitarian crises; a surge of refugees, weapons, and fighters across borders; and an..